KOSUN LW series decanter centrifuge is used in separating suspension of solid phase with particle diameter d≥2μm for drilling mud and fluids handling. Ruggedly built for oilfield and industrial services, it is especially effective in environmentally sensitive areas. It delivers high fluid-recovery rates and efficient solids control to significantly reduce the costs of makeup fluids and disposal. The decanter centrifuge is precision –balanced for smooth operation over long periods at speeds of 0 to 3900 RPM, generating centrifugal forces up to 3000G’s. 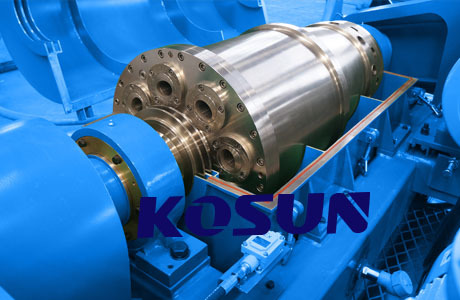 Decanter centrifuge for sale by KOSUN consists of a cylindrical rotor, a casing, an electric motor, and three lines for material to travel. The gas centrifuge is designed with a casing that completely encloses the centrifuge. The drilling mud decanter centrifuges can separate fine particles well, for separating 5～7μm particles in drilling mud, usually use medium speed decanter centrifuge, for less then 2μm, usually use high speed decanter centrifuges. As a solids control equipment decanter centrifuge manufacturer, KOSUN supply other solids control equipment for sale, including shale shaker, shale shaker screen, desander, desilter, vacuum degasser,decanter centrifuge , centrifugal pump, submersible slurry pump, shear pump, mud agitator, mud gun, drilling fluid mud cleaner, decanter centrifuge, mud tank, diesel tank, water tank, complete solids control system, etc. Drying Shaker is one of the solid control equipment in drilling waste purification system and Kosun with more than 20 years experience in this aspects. This demonstrates the typical upkeep of the shale shaker was not done well, and the bearing is shy of greasing up oil, if the oil is recently included the reason will be oil quality issues or get too full, second rate oil make the bearing square so oil quality is very essential. This issues may for the most part brought on by the mis operation, it might be the shaker screen work blockage, fine grain size and increment of water substance in the strainer material, the sifter material layer is too thick, sustaining imbalance, etc. May both sides of the screen is not tight, in the event that it is an offbeat shaft vibration may the belt is too free, a time of invert revolution can be taken after the mechanical preparing is finished keeping in mind the end goal to enhance the nature of screening. In the event that the screen box has been because of absence of inflexibility, flat level did not recognize, will bring about the shaft crack, on the off chance that it still in operation will likewise make the material stream peculiarities. There likewise might be uncalled for operation, that is the imbalanced sustaining is additionally one reason. Ought to check whether the aggregation of oil on the electrical machine is excessively, if so we ought to expel stores on the vibrating screen. 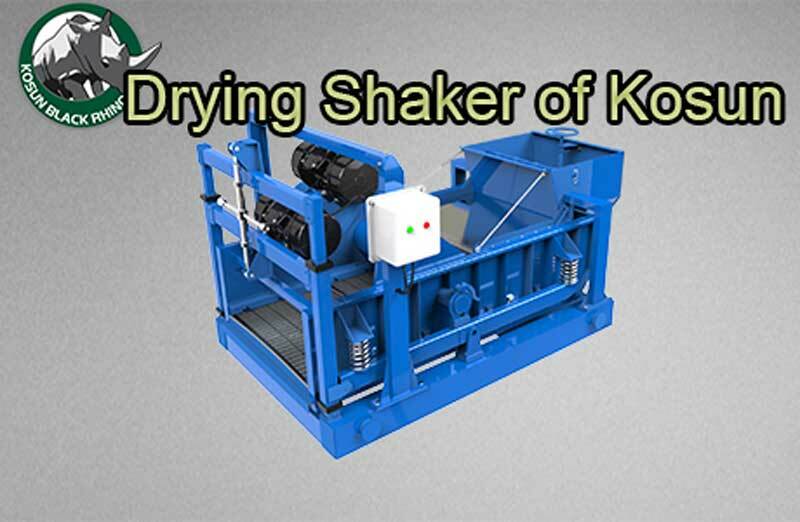 Drying Shaker for Sale by Manufacturer Kosun serving clients at home and abroad and been praised good in performance. A spring-stacked plunger and reversible pawl give a tightening activity amid development of the working handle. An entire 180 degrees of development is conceivable in both bearings. Contingent upon pawl setting, moving the handle in one course turns the jack screw to raise or lower the screen outline, while in the other bearing the jack screw stays stationary amid handle development. The spring-stacked pawl allows the administrator to change the bearing to either raise or lower the shale shaker screen outline, as required. The point of the release end of the shaker screen edge is endlessly movable inside the hardware’s accessible range. 1.Assess release channel association on side of container for breaks. Fix association as well as add silicone sealant to avert spillage. 2.Review cover on unused container release association for breaks. Fix association as well as add silicone sealant to avert spillage. 3.Utilizing a water hose, wash off gathered process material from screen outline, inside of container and AWD point alteration parts. 4.Abundance prepare material in these regions may hinder edge alteration of screen edge and can lessen screen outline vibration if the edge bottoms out on the development. 5.Check for and evacuate any aggregation of process material or other hindrance in feeder inside. Feeder blockage may bring about over the top sprinkling and uneven dissemination of slurry onto the screen bed. Examine whole machine for proof of covering harm, including uncovered base metal, consumption, profound scratches, or different voids. Repair harmed zones as per covering makers’ particulars. 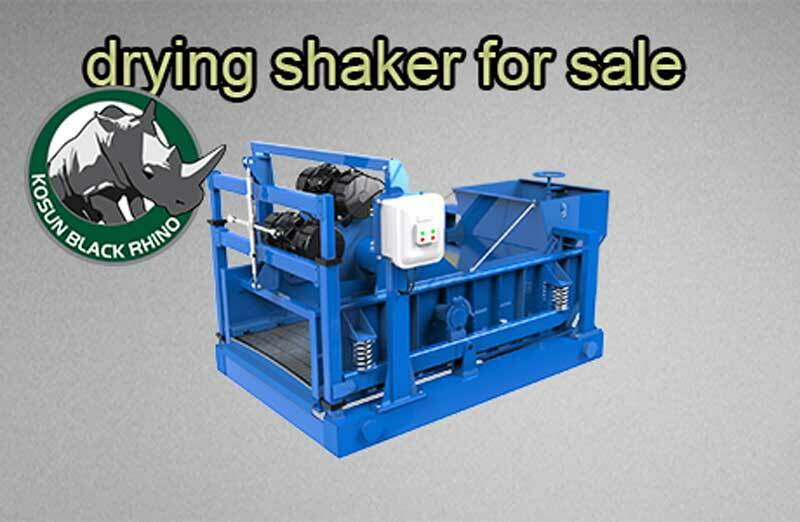 To make sure the operation of the shale shaker and normal usage life on screen, the operator need to make sure parts like wedges, screw cap bolt and springs on the shale shakers are installed correctly with no signs of wrongdoing. The operator installs the screens according the operation manual provide it from the seller.